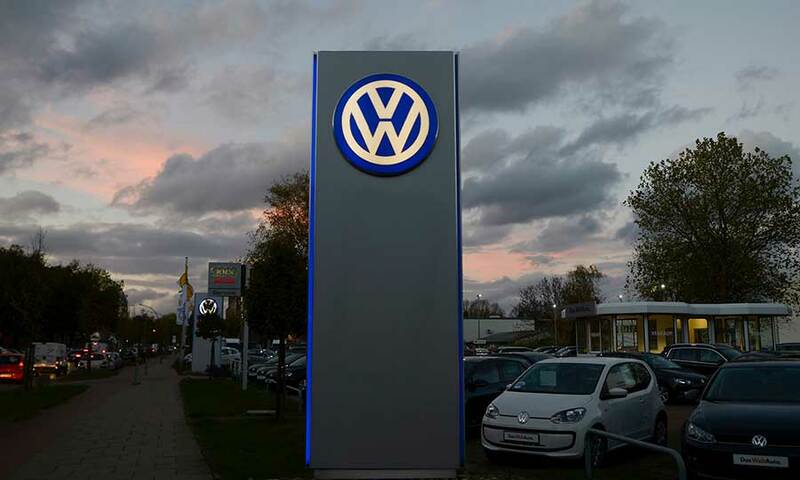 Washington – The U.S.Environmental Protection Agency (EPA) accused Volkswagen AG (XETRA: VOW3), of cheating air pollution testings and causing toxic emissions with around 482,000 automobiles. The German car manufacturer is currently facing a possible sanction of $18 billion. On friday, EPA issued a statement where they claimed that Volkswagen was illegally working with a particular software in order to defraud the emissions standards from the agency, which are well established for the good care of the public health. The not so reliable software allowed Volkswagen to sell 482,000 cars. “Using a defeat device in cars to evade clean air standards is illegal and a threat to public health. Working closely with the California Air Resources Board, EPA is committed to making sure that all automakers play by the same rules. EPA will continue to investigate these very serious matters.” said Cynthia Giles, Assistant Administrator for the Office of Enforcement and Compliance Assurance, to The New York Times. What is a ‘defeat device’? This software was included in the four-cylinder Jetta, the Beetle model, Audi A3 and the Golf cars sold by the automaker company between 2008 and 2015 in the United States, and also on Passat cars sold from 2014 to the current year. The system detected when the cars were subjected to an EPA emissions testing, and deceptively turned on the full emissions controls during the test. Also, when the cars were normally operating in common roads nitrogen oxides was emitted, up to 40 times above the legal limit. Volkswagen would be facing legal penalties of $37,500 for each of the almost half million vehicles. If EPA finally determines that each car is in effect contaminating, the penalty could reach $18 billion, EPA confirmed through a teleconference, Reuters reported. “Working with US EPA we are taking this important step to protect public health thanks to the dogged investigations by our laboratory scientists and staff. Our goal now is to ensure that the affected cars are brought into compliance, to dig more deeply into the extent and implications of Volkswagen’s efforts to cheat on clean air rules, and to take appropriate further action.” said Air Resources Board Executive Officer Richard Corey. Regarding Volkswagen, the company would have to take immediate actions to fix cars’ emissions systems. Although the cars are exceeding clean air standards, current owners of these Volkswagen models do not have to take any action by themselves. However, EPA could order VW to recall the cars, but it could take up to a year. A U.S. Volkswagen spokesman said: “we are cooperating with the investigation, but we are unable to comment further at this time” According to Reuters.